Dr. King's Economic Dream (Editorial) | New Growth Hair Magazine | We capture the culture of urban barbershops and beauty salons. By the end of 1967, African-Americans fought for and obtained federal legislation to establish civil rights, voting rights, and to abolish racial segregation. Dr. King viewed the passage of civil rights protections as the first steps toward freedom and equality for African-Americans. King said, “In spite of a decade of significant progress, the problem is far from solved. The deep rumbling of discontent in our cities is indicative of the fact that the plant of freedom has grown only a bud and not yet a flower.” Dr. King understood that racism was only a symptom of the problem when he told a New York Times reporter, “In a sense, you could say we’re involved in the class struggle”. 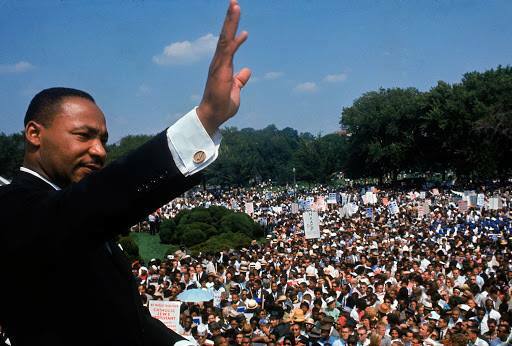 Dr. King felt that African-Americans won legal equality but did not earn economic equality. Most of us have heard Dr. King’s I Have A Dream speech but very few people of aware of Dr. King’s ‘economic dream’ which he called “The Poor People’s Campaign.” In the spring of 1968, Dr. King planned to bring thousands of poor people of all ethnic and racial backgrounds to Washington, D.C., to block streets and disrupt government activities until the government addressed the needs of poor Americans. Under The Poor People’s Campaign, Dr. King developed an economic bill of rights, demanding a $30 billion anti-poverty package that included a government policy of full employment, guaranteed income for the poor, and additional low-income housing. So why didn’t you or I learn about “The Poor People’s Campaign” in high school or college? Because many high-ranking government officials thought that Dr. King’s Economic Dream was a threat to The United States’ national security. J Edgar Hoover, former FBI Director created a Counter-Intelligence Program (COINTELPRO) subunit to disrupt The Poor People’s Campaign. The United States Army activated 20,000 soldiers in preparation for The Poor People’s Campaign March on Washington. Memphis was the kick-off city for The Poor People’s Campaign as Dr. King attempted to use his influence to bring awareness to the Memphis Sanitation Workers Strike. On April 4, 1968, in Memphis, before Dr. King’s economic dream was able to get off the ground, Dr. King was assassinated along with his economic dream of The Poor People’s Campaign. Dr. Dennis Kimbro, author of Black Wealth: Success Secrets of Black Millionaires stated that, “During the time of Dr. King’s March on Washington, one in 20 blacks were on public assistance programs, but now one in five blacks are receiving government assistance.” Dr. Kimbro’s latest research reveals that over the past decade, African-Americans are falling behind in every major economic indicator. Dr. Kimbro said, “ In 50 years, we couldn’t hold on and carry the torch for Dr. Martin Luther King’s dream” and Dr. Kimbro predicts that over the next decade the largest black middle class will be in African countries. Now is the time for African-Americans to honor Dr. King’s legacy by making better financial decisions. On Dr. King’s birthday, let’s do more than watch news coverage about his life or enjoy a day off from work. Let’s take steps to fulfill Dr. King’s Economic Dream. Here are a few suggestion: 1.) Make Better Financial Decisions by Saving Money 2) Educate your Children about Dr. King’s Economic Dream 3) Volunteer and Give Back at local Homeless Shelters 4) Donate Clothing, Shoes, Winter Jackets, and Food to the Poor.